HomeWhat is a phone tracker? Which Are the Best Apps for Getting Your Stolen Android Phone back? There is nothing more annoying than discovering that your beloved smartphone is lost. The good news is that you can retrieve it if you use Android stolen phone apps, irrespecitve of if you have a Samsung or HTC. You will find many apps available on the Android Market. The big question is: which ones can do the best job? Here are the top picks. This is one of the most widely used Android stolen phone apps. It has been around since 2009 and has got much more advanced over the years. What can it do? You can make your Android phone ring remotely by texting a specifically chosen ring attention word that you have entered in advance. The device will start ringing and you will either hear it or force the thief to take action which may help you get your device back. GPS location is another feature of the Where’s My Droid app. 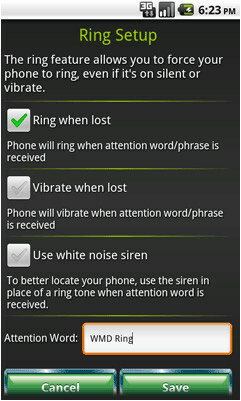 In order to retrieve your mobile phone, you need to send the attention word in the form of a text message to the phone. Then you will receive four messages back. The first one will acknowledge that the GPS is working to retrieve your device. The next ones will contain details on the coordinates of your phone, a link to Google Maps where you will be able to see the device’s location on the map and the address which is nearest to the smartphone. Additional features of this one of the Android stolen phone apps include the White list, where you can enter the numbers which you can send messages from, the SIM card feature allowing you to retrieve your SIM card and the Passcode feature allowing you to lock the app with a code. This is another one of the Android stolen phone apps that enjoys great popularity among users for its high efficiency. Perhaps the best thing about it is that it can be installed and used AFTER your phone has gone missing. Here is how to use it. Install Plan B from the website of Android Market. The app will start working automatically. 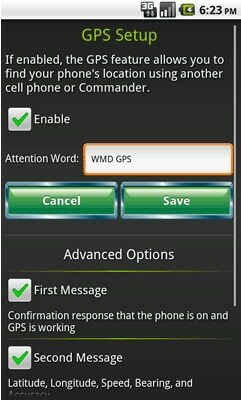 It will start searching your phone using GPS and will send the coordinates of its location to your Gmail account. The coordinates will be displayed visually on a Google Map. In order to get updated on the device’s location, you need to borrow a friend’s phone and send a text message with the word “locate” to the lost device. You will receive an email with the current coordinates of the smartphone. Pretty neat right! The Where’s My Droid app has a comprehensive set of features and this is its major advantage. Another superb benefit is that it gives you plenty of details on the location of the missing device. The major advantage of Plan B is that you can install it and use it after your phone has gone missing. Weigh the pros and cons of both Android stolen phone apps to pick the right one for you. help I lost my htc phone4g and now I don’t know how to find it, afterall it didn’t han=ve line and was only used to take images and play games. hi I’m Glenn my daughter lost her phone can u help me please. hi i lost my phone can u help? I list my phone 4 days ago. 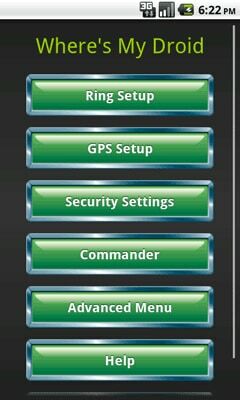 I want to know tracking with IMEI help me to locate the phone or not? “My Phone Was Stolen”. How can I track my stolen phone? Mobile Phone Tracker – What Is Phone Tracking and How Can It Be Useful to You?